This assumes a single-level residential water loss (Class 2 | Cat 1). 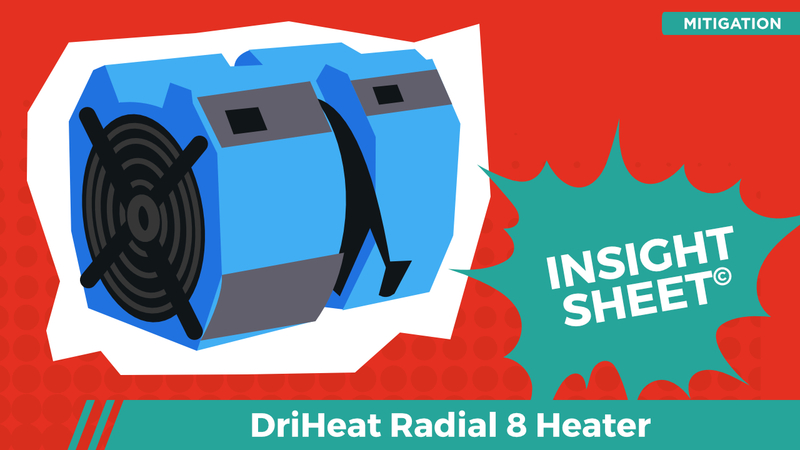 DriHeat performance drying equipment was exclusively employed, including the Power Distribution Box. Ultimately the performance drying was successful in its efforts to mitigate additional damages and manage the overarching claim cost (assumes a substantial reduction in the scope and cost associated with the repair). 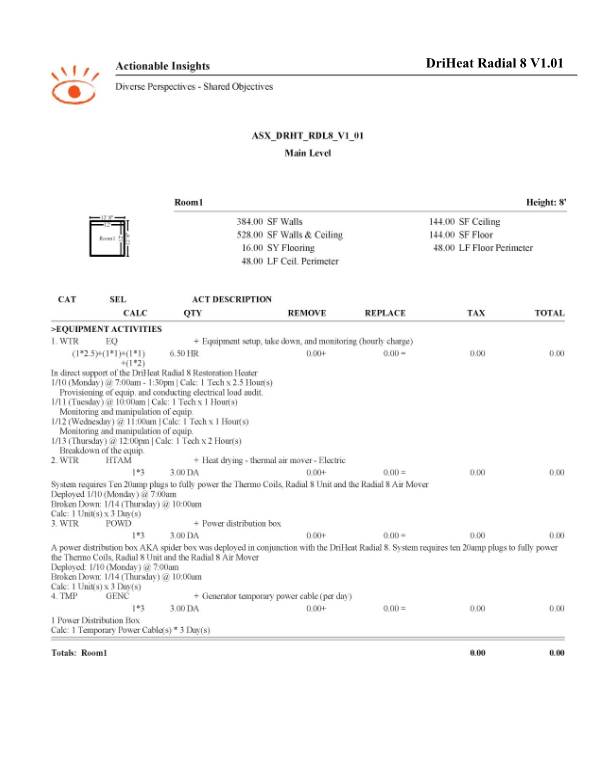 This Insight Sheet exists to clarify how one might invoice for a DriHeat Radial 8 Restoration Heater.